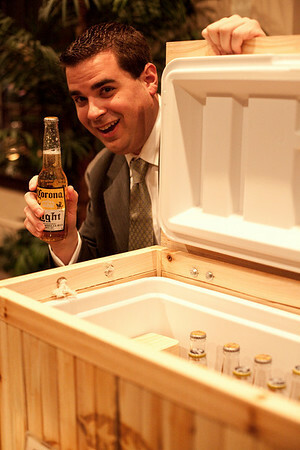 David Himmelein shows off a cooler full of Corona he was hoarding in a corner. Or maybe it was a silent auction item. I can't remember.